Join the Animal Legal Defense Fund in urging the USDA to place a consumer warning label on foie gras: "NOTICE: Foie gras products are derived from diseased birds." The Animal Legal Defense Fund filed a legal petition with the U.S. Department of Agriculture (USDA), urging that foie gras—the "fatty liver" of a force-fed duck or goose—bear a consumer warning label stating "NOTICE: Foie gras products are derived from diseased birds." Because the USDA is responsible for ensuring that poultry products are wholesome and for approving only products from healthy animals, stamping foie gras products with the USDA seal without disclosing that those products are derived from diseased birds misleads consumers, contravening the Poultry Products Inspection Act. Currently, on U.S. foie gras farms in New York and California, ducks are force fed three pounds of mash a day through a pipe shoved down their throats—the equivalent of force-feeding 45 pounds of food to an adult human—inducing liver disease known as hepatic lipidosis that often cripples and poisons the birds. 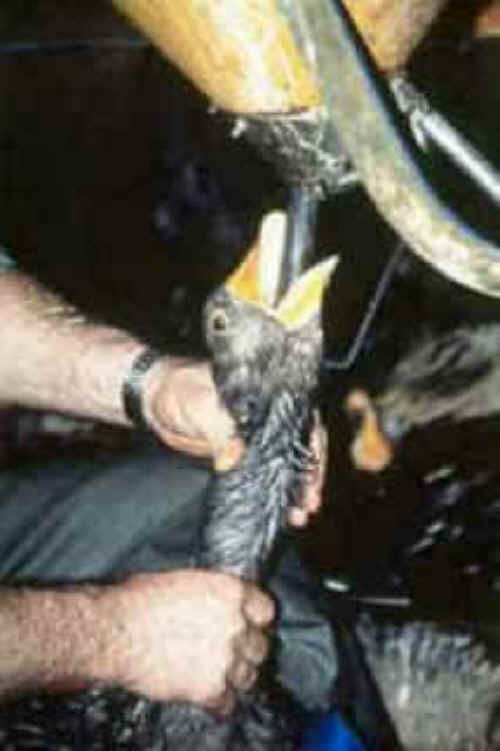 The cruel and unhealthy force-feeding of birds for foie gras production has been banned in over a dozen countries, including the United Kingdom, Germany, Italy, and Israel, and a California state ban, passed in 2004, will go into effect on July 1, 2012. Even retailers like Whole Foods and Wolfgang Puck’s restaurants refuse to sell foie gras. In addition to being diseased, foie gras products may induce disease. A 2007 study published in the Proceedings of the National Academy of Sciences found that protein fibers from foie gras enhanced the onset of Secondary Amyloidosis, a disease fatal to humans. In the past, ALDF and other animal protection groups have called on the USDA to ban foie gras outright as unfit for human consumption.